Mary Kaye walked into a guitar store three years ago on her birthday, pointed to a guitar, bought it and immediately started playing and writing music. This mother of 10 has been unstoppable ever since. Her music speaks to the soul. 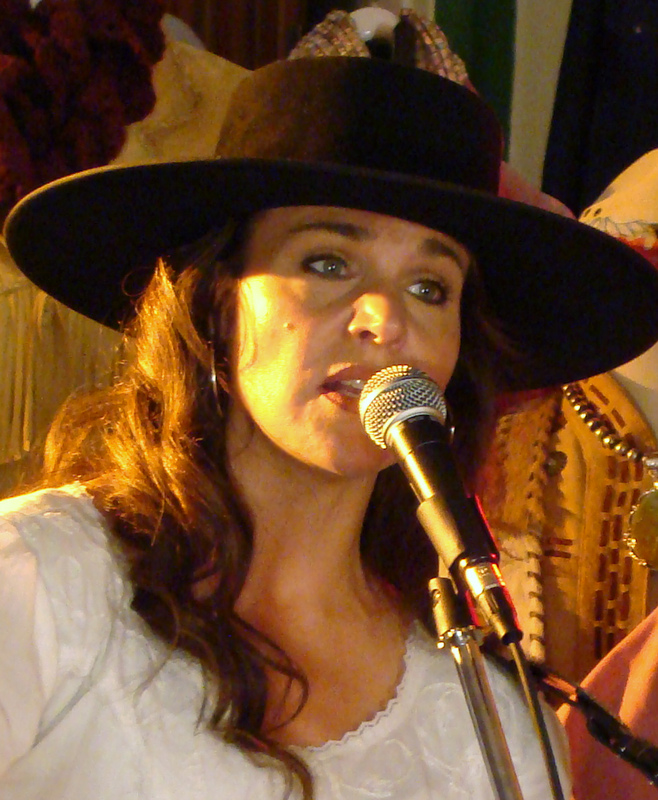 Her first appearance in the Western Music genre was at the 2009 Moab Western Stars Gathering where she shared her gift of writing and performing music that tells the story of the West. Since that first gathering, she has teamed up with the talented Richard Lee Cody to create a Western Music duo that had the honor of opening shows for Suzi Bogguss, the Sons of the San Joaquin and Curly and Belinda Gail this last summer. Mary Kaye lives in the small pioneer town of Manti, Utah, and has grown to love the Western landscape and lifestyle. She was born and raised in the South and her Southern roots add a unique dimension to the the western lyrics she performs. Mary is a member of the Western Music Association and is a nominee for Female Vocalist of the Year with the Academy of Western Artists for 2010. To order Mary Kaye’s solo western music CD, “Clean Outta Luck,” send a request by email to marykayemusic@yahoo.com. Richard Lee Cody was born Richard Stephen Espinoza in Ogden, Utah, on January 5, 1966. His father, Steve Espinoza, hailes from Cortez, Colo., by way of Ogden. He is a Veteran of the United States Navy. His mother, Elaine Cummings Espinoza, was born in Heber City, Utah, where Richard and his family still live today. His grandparents, Roe and Lois Cummings, instilled a love for Country/Western music in their daughter, and she in turn passed it along to her son. “While my friends were listening to hard-core rock ‘n’ roll, ” Richard says, “in our house it was Country music — period. ” He says he doesn’t recall any other music connecting with him like that “good old classic Country. ” This exposure to Country/Western music is evident in his vast knowledge of music, lyrics, and the singers who sing it. In 1980 one final move would take Richard back to his “ancestrial homeland, ” so to speak, to the Heber Valley of Utah. It was here that 100 years earlier his G.G. grandfathers would settle with the Mormon pioneers. Richard graduated from Wasatch High School in 1984, and a year later married Wendi Mills. The couple made their home on the ranch of her parents where they raised Quarter horses and beef cattle, as well as four great kids: JD, Cody, Brandee and DJ. Tough times would break up their marriage in 2000. In June 2001, Richard married Lynnie Casper. Richard gives her a lot of credit for helping him to find his voice, music and the self-confidence to pursue a music career. For the next year and a half, the songs just kept flowing from his pen, and with the help and encouragement of Lynnie and a family friend, Donnette Hicks, Richard found himself at a local recording studio asking what it would take to record a single song — one he had written for, and about, Donnette and her husband Jim. After the owner of the studio heard just a portion of the song (“The Ground You Walk On”), he asked, “Do you have any more songs like this? ” Richard answered “yes ” and was signed to a contract to record his “Leave the Light On ” CD. With CD in hand, he started out to expose the CD to folks around the West from Montana to Southern California. Richard’s deep Western roots and lifestyle are evident in the Western/Cowboy music he produces and sings today. He has had the honor of playing with and getting to know many of the genres top performers. Besides his music, he is also a Disc Jockey on his hometown radio station, KTMP 1340-AM, in Heber City. 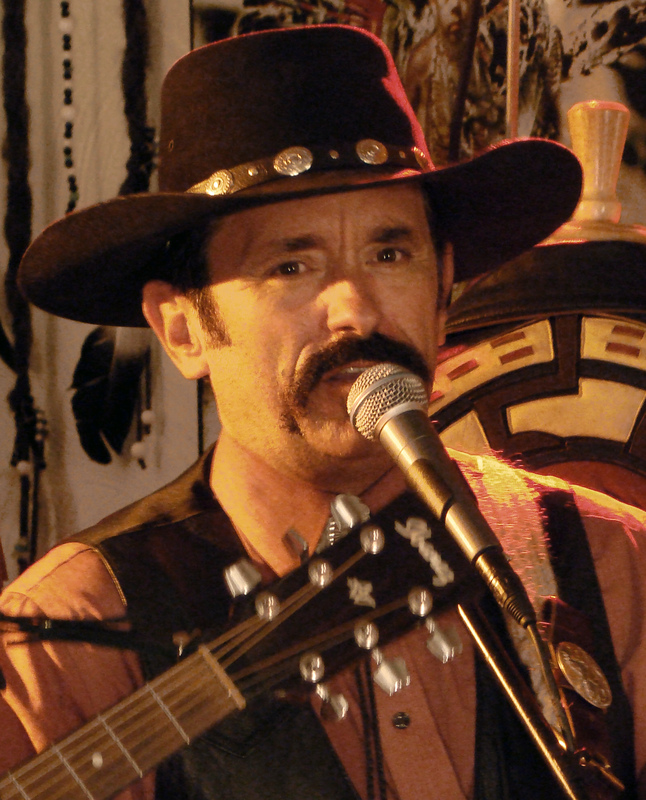 Today you’ll find him on the road with his duet partner, Mary Kaye — one of the finest Western duos in the country. To order Richard and Mary’s duet CD, “Way Out West, ” visit www.richardleecody.com.